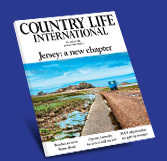 If you are relocating to Jersey and are looking to buy a property, did you know the process is very different from the UK mainland? the guidance of an independent local expert who can advise on the island’s way of doing things is invaluable to potential new property owners. The QRC team all have personal experience of buying property in the islands and can assist you at each stage once you have found your dream property (we can even help you find it if required! ).